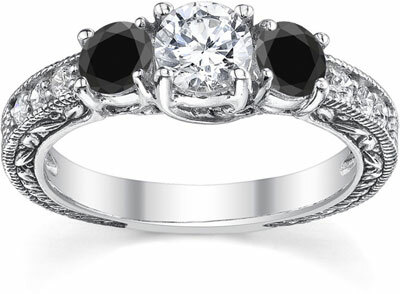 Are you looking for 3 stone engagement rings? There's nothing more romantic when you give your loved one beautiful engagement ring because this ring not only represent the present relationship but also the past and your future together as man and wife. It's definitely the sweetest thing you'll ever do to show your bride to be that she's the most special thing that happened to you. 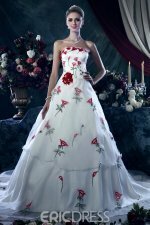 And as for the girl, it was a lovely feeling that a man consider you to be his past, present and future love. 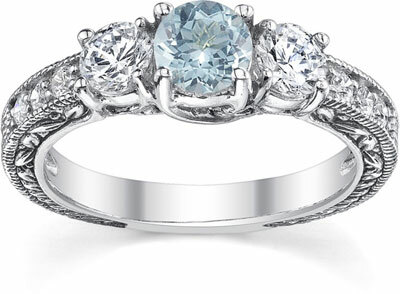 The 3 stone engagement ring are also called trilogy engagement rings. Aside from being an engagement ring, it is also popular as a gift for birthdays and anniversaries because of its timeless beauty. 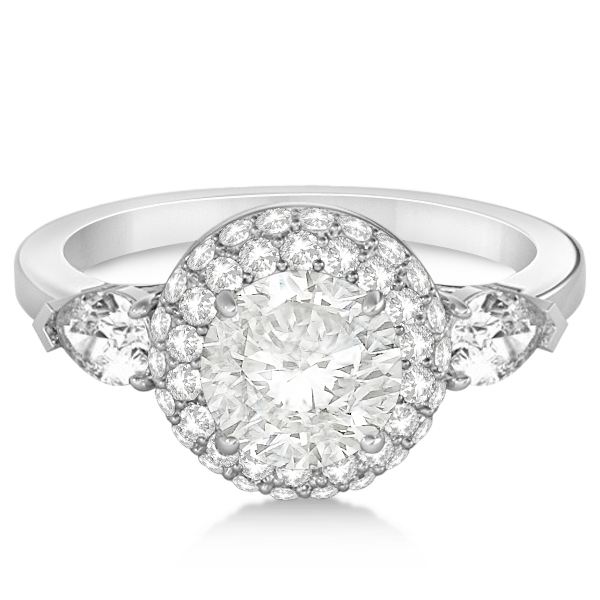 It can have three stones in equal sizes or with a bigger center stone as a focal point. 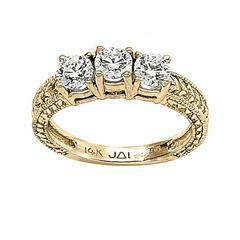 Some designs available have additional side stones to highlight the three central stones. It is also necessary to have bigger stones because if small stones was used it will look like a channel setting rather than a 3-stone setting. Some people believed that a 3 stone ring is more expensive than a solitaire engagement ring. But the truth is it can be less expensive than any kind of engagement ring. 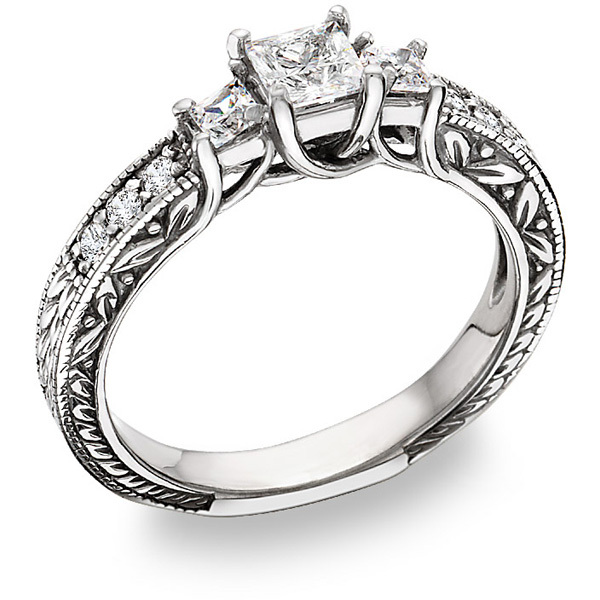 The cost of an engagement ring will vary depending on the kind of setting, stone and metal to be used. With a solitaire engagement ring you are paying towards the size on the one diamond. The larger the solitaire is the more the ring costs. 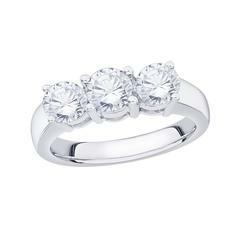 However with a 3 stone ring you could pay the same as a solitaire or even less if the diamonds are smaller. 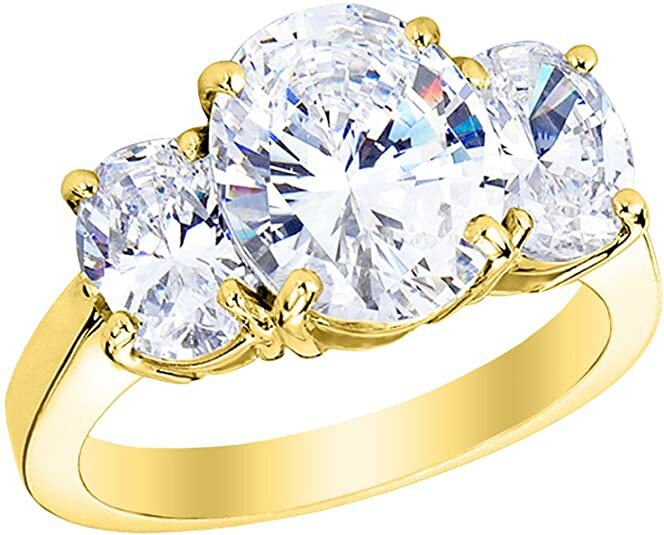 For instance if a solitaire is a 2 carat but in a 3 stone engagement ring the center stone is 1 carat and the side stones are ½ carat the ring will cost less even though the total carat weight is the same. One of the reasons for this is that the size of a cut diamond is not the same size it begins as. So a half carat stone might of started as 1 – 1 ½ carats but a 2 carat stone might have been 3 – 5 carats. So you are not only paying for the end result but the uncut stone needed to create it. 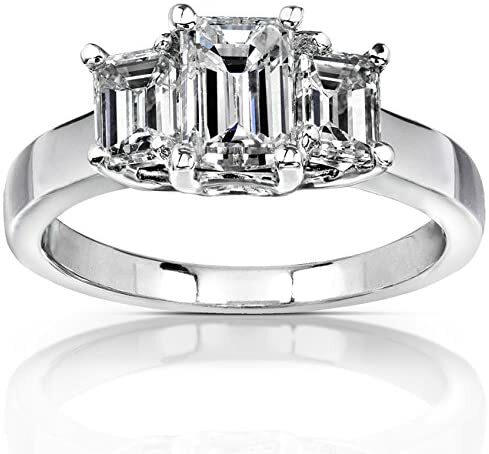 As with the shape of stone to be used, the most popular shapes are round and princess cut because of its good alignment and fitting. 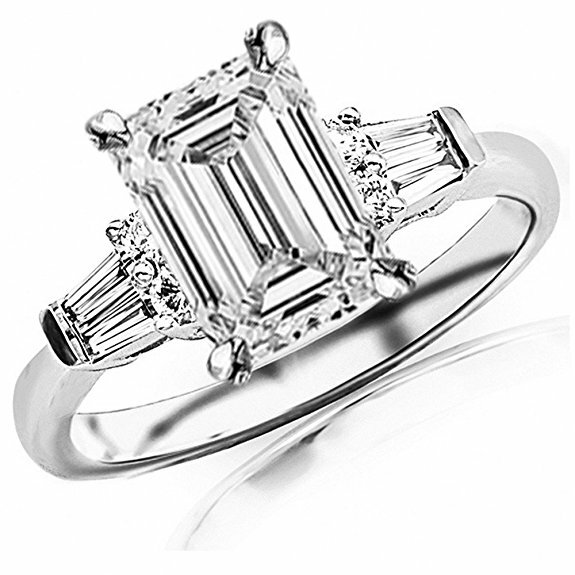 A 3 stone ring is also available in oval, marquise and emerald cut, but not as quite as popular as round and princess cut. 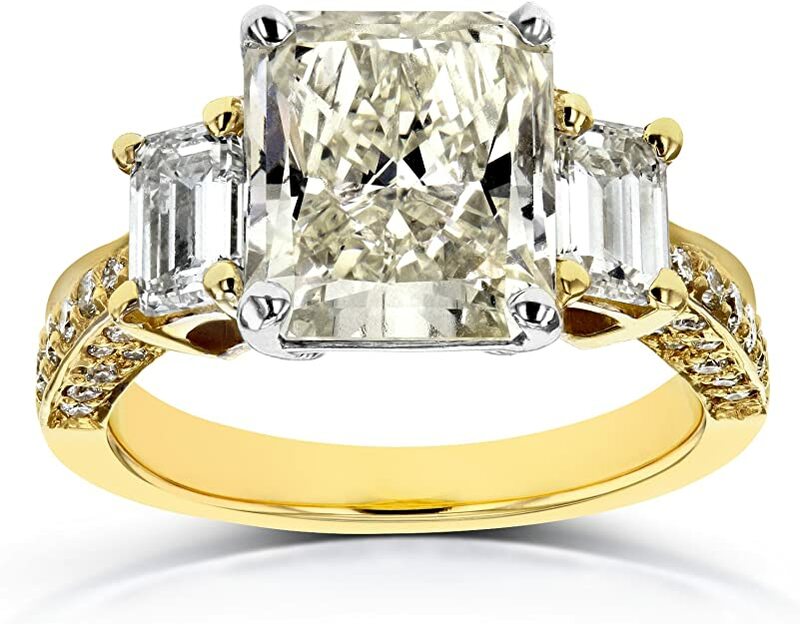 There are some designers that include different shapes in a 3-stone setting; the shape of the center stone is different from the side stones to make a statement. So it is a good idea to think about the different settings available and if you have any preferences. You might want to think about how you see the setting – should it be seamless and unnoticeable or should the setting contribute to the beauty and magnificence of the ring? 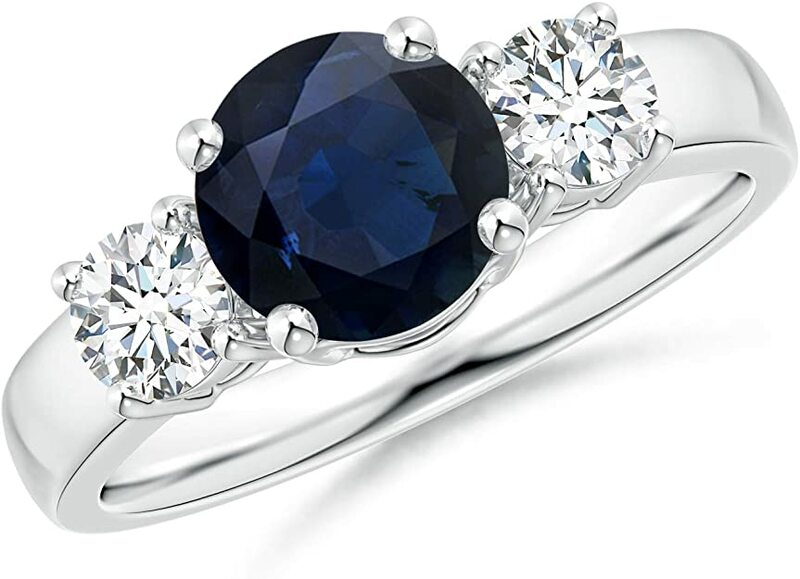 3 Stone Engagement Rings – What Stones Are You Using? Diamonds are the most popular stone use in making an engagement ring. 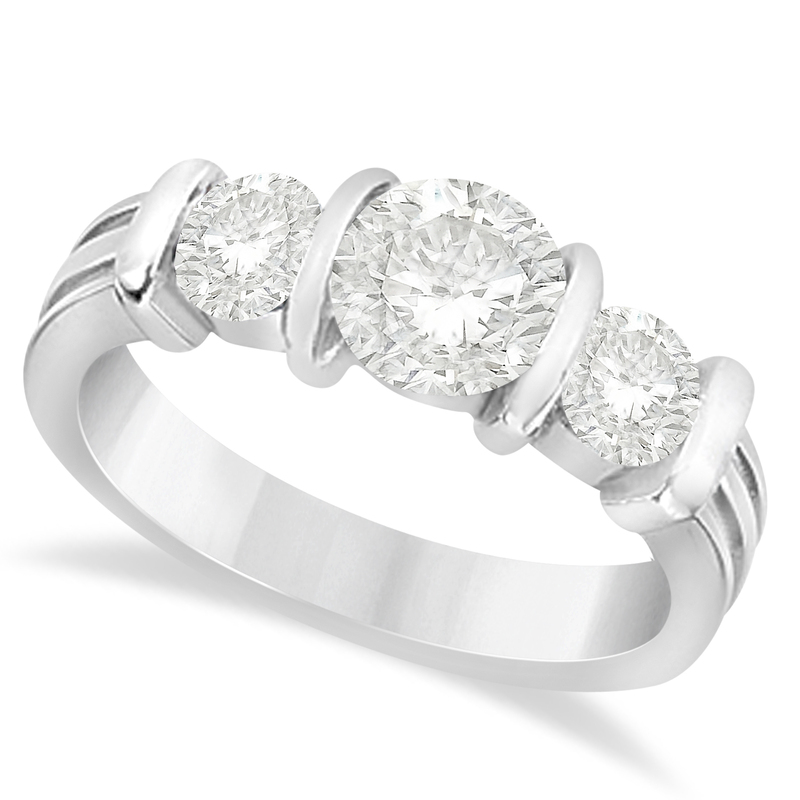 But with 3 stone diamond rings, you can choose the stone that you prefer. 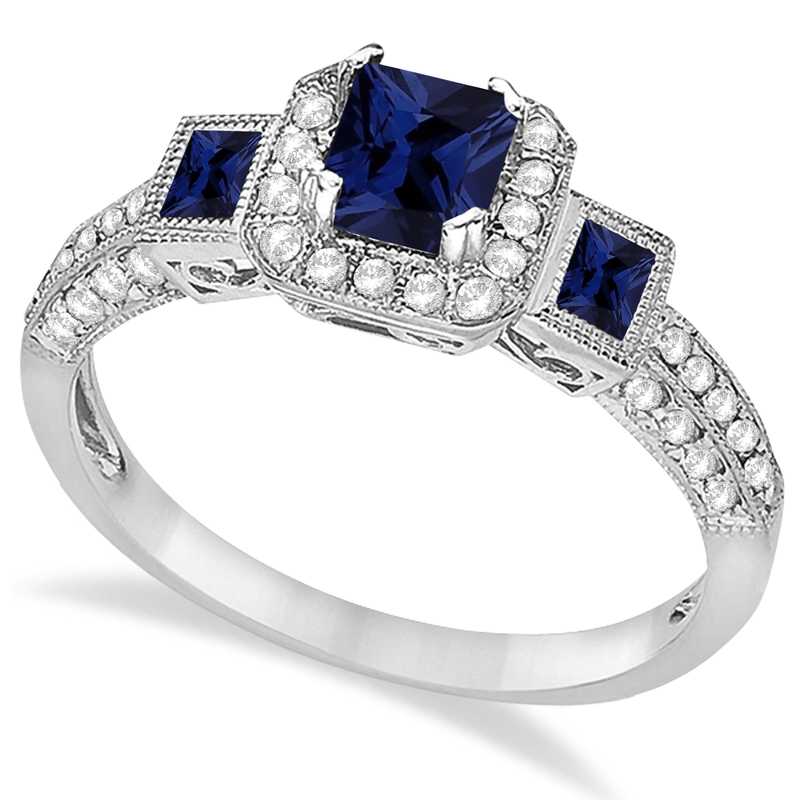 Most popular gemstones used in this kind of setting are emerald, sapphire and ruby. You can have a colored gemstone in the middle and use diamond as side stones or vise versa; or arrange it whatever you want. 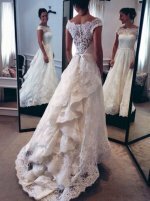 You need to think about whether you want the ring to be traditional or not. Some people would not consider using any stones for an engagement ring other than a diamond. 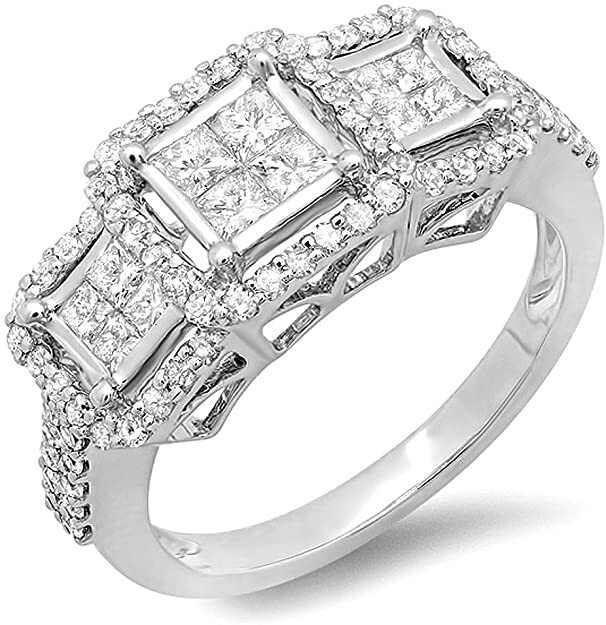 Diamonds are certainly traditional and beautiful but they are not the only choice. 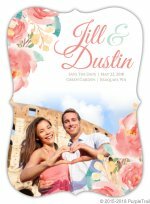 If your fiance has a love of a certain stone you might want to incorporate that. Or you might choose a stone based upon the color alone. If you choose to only use diamonds that is fine as well. You could choose to use all three stones as only diamonds. They could all be diamonds of the same size or you might want to make the center stone bigger than the side stones. 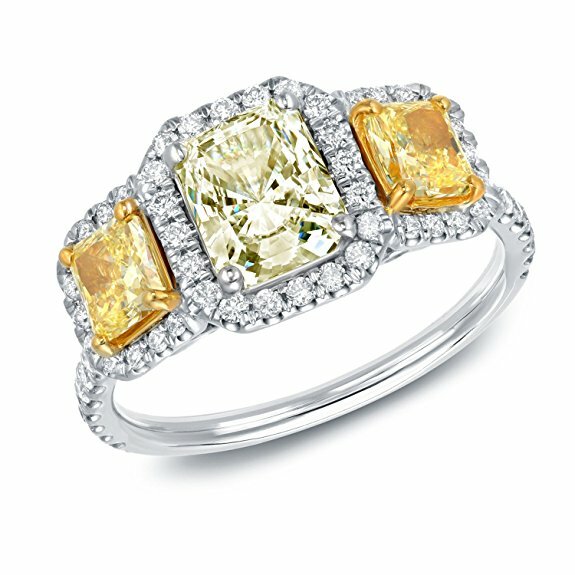 Really like the ideas of 3 diamonds but want the ring to stand out? You should consider using colored diamonds as either the main stone or the accent stones. 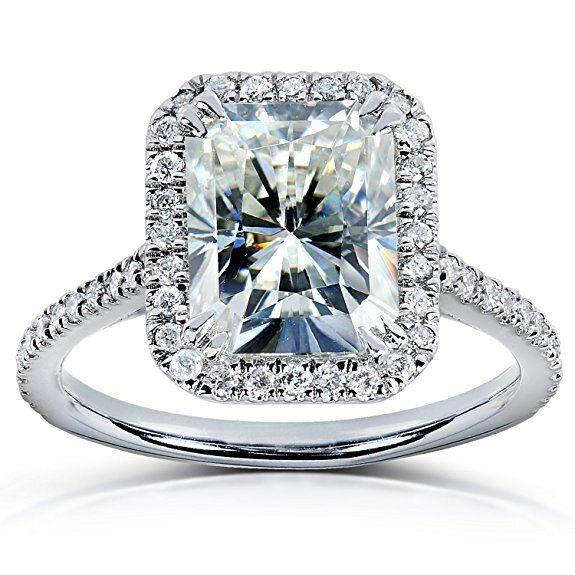 Diamonds come in many colors today and this could be the perfect ring, using all diamonds but adding color. A 3 Stone Engagement Ring with all these features really make a perfect ring for your bride to be. It symbolizes a past when the two of you are starting a relationship to the present time that the two of you are preparing to have a wonderful future together. 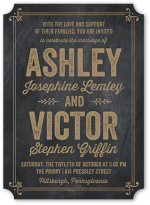 Besides the beauty of the ring, many couples choose this design for the message it gives. Past, present and future. They are not defined by one moment in time (such as the engagement or the wedding) but they are saying all facets of their relationship is important from the beginning moments, to the present time and all the years the future will bring them. 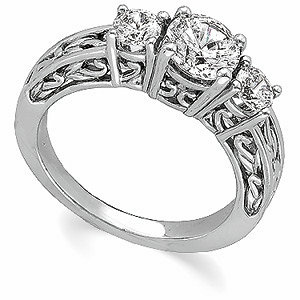 If you are a romantic at heart you may choose this ring for the simple fact of the message it tells the world. 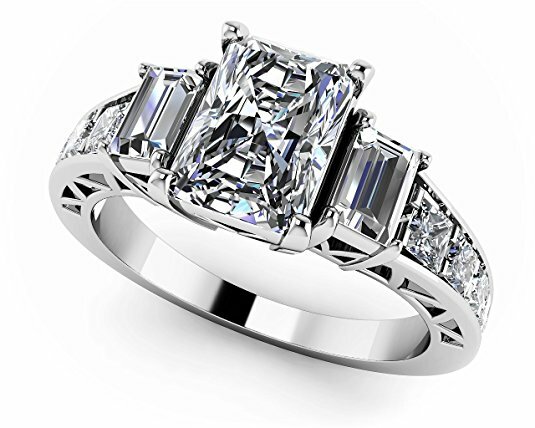 Shop for 3 Stone engagement rings on Amazon today!